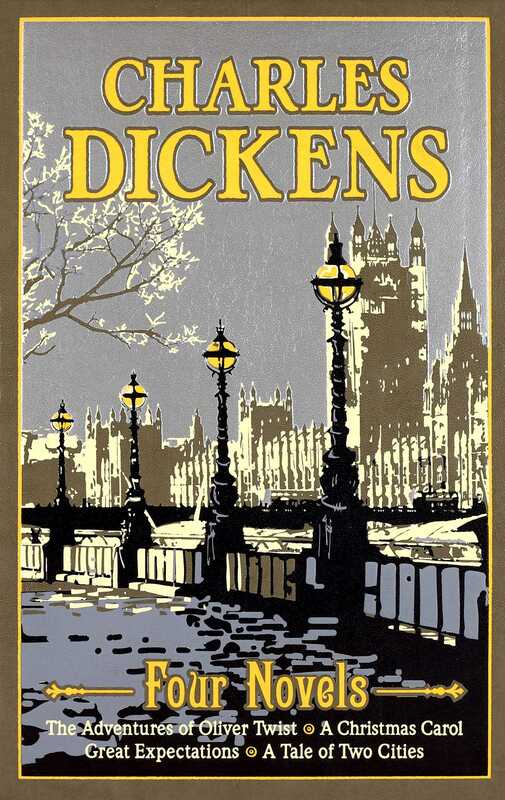 Four of Charles Dickens’s most enduring and popular works in one volume. Oliver Twist. Pip. The ghosts of Christmas past, present, and future. The characters of Charles Dickens live on in our imaginations long after we’ve read his renowned works of social commentary and vivid storytelling. Although these novels were written more than a hundred years ago, no home library today would be complete without them. This Canterbury Classics edition collects some of Dickens’s most famous and beloved works—The Adventures of Oliver Twist, A Christmas Carol, A Tale of Two Cities, and Great Expectations—in an elegant, leather-bound, keepsake edition. For those who’ve never read Dickens, it’s the perfect opportunity to experience his unique and compelling writing. And for those who are already Dickens devotees, an introduction by a renowned scholar will provide additional context and food for thought. Born on February 7, 1812, Charles Dickens is one of the most popular literary authors of all time. After a very tumultuous childhood, Dickens finally succeeded in getting his first story in a London periodical. As the number of his published works increased, so did his fame. Although he died in 1870, Dickens works are some of the most famous written works in the English language.